Brand New Construction Ready for Immediate Move In! Builder has included $20K worth of Designer Upgrades in Custom Home. 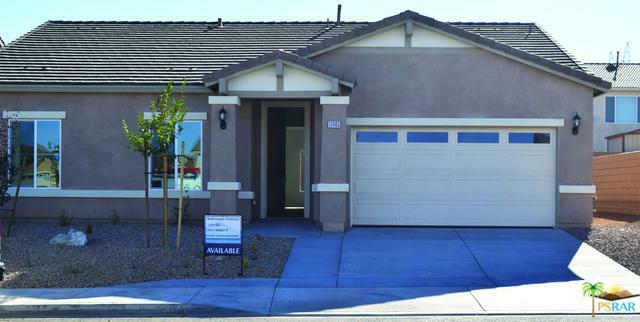 This unique Four Bedroom / Casita, 2 Bath Meadow Floor Plan is one of hottest looking floor plans available in Victorville, California! Grand casual great room area creates a lovely comfort home and livability. This house has custom 12x24 Tile and Designer carpet flooring, a Large master with a Tub and Shower along with generous double-vanity bath. Kitchen has custom Kona Cabinets along with Quartz Slab Counter Tops! G.E stainless steel appliances with Microwave, Chrome interior fixtureswhat more could you want!! Also, this home will have a 2-10 National Home Warranty along with Double RV Casita Parking/Living in the Rear Yard! 2 Living Areas for the price of One!